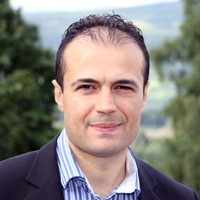 Mehmet Mehmetoglu is a professor of research methods in the Department of Psychology at the Norwegian University of Science and Technology (NTNU). His research interests include consumer psychology, evolutionary psychology and statistical methods. Mehmetoglu has co/publications in about 30 different refereed international journals, among which, Scandinavian Journal Psychology, Personality and Individual Differences, and Evolutionary Psychological Science.